As Apple's HomePod reaches multi-million unit sales, is a cheaper version necessary to compete? A new report took Apple to task for updating HomePod software rather than introducing a cheaper version to compete with Amazon and Google at the bottom of the smart speaker market. However, it also revealed that Apple new product surpassed sales of 3 million devices half way through 2018, with sales accelerating from its first quarter of availability. Is a cheaper HomePod needed to reach beyond a few million buyers? A report by Consumer Intelligence Research Partners focused on HomePod's price, suggesting that Apple could sell more if only it were priced lower. To argue that case, it compared the penetration of Apple TV among Apple's customers. The firm noted that just over one in five of the "Apple product buyers" it surveyed own an Apple TV, roughly in line with the adoption of Amazon's Fire TV and Roku. The Apple TV was significantly more popular than Google Chromecast or Tivo among these users. 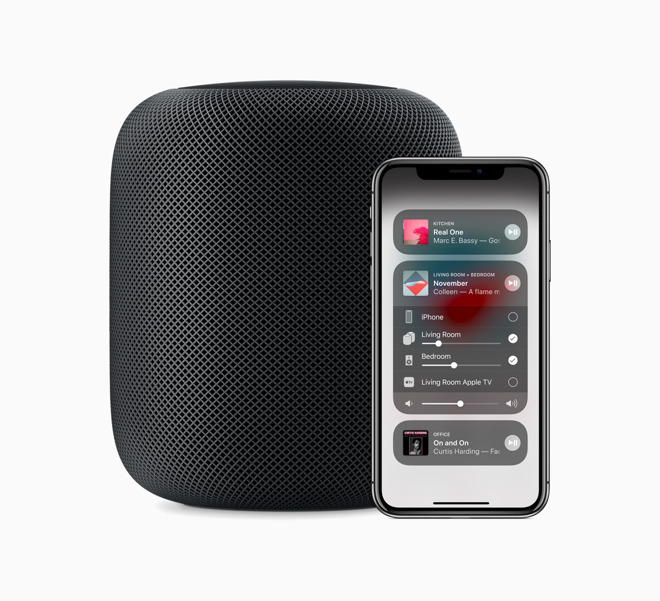 However, "only 2 percent of Apple customers have a HomePod as of the June 2018 quarter, with Amazon Echo and Google Home having far greater shares," the analysts estimate, without detailing the size of that population. The firm suggests the reason Apple TV has achieved a competitive position next to other TV devices is that its price tag is closer to the other TV devices—in contrast to HomePod, which it implies has a higher price differential compared to Amazon's cheapest Echo modules. However, the latest Apple TV 4K is priced at $179/$199, with the original model starting at $149. Amazon offers a new Fire TV stick for $40, and its "4K Ultra HD" version, usually $70, is frequently also discounted to $40 (as it is right now). Google's Chromecast is also priced at $40 and $70, while Roku similarly sells TV devices from $30 to $70, with its most expensive priced at $100. It's not really true that Apple TV is chasing its low price competitors, because Apple's entry model is 5 times more expensive than entry level alternatives, and the fanciest Apple TV is also 5 times Amazon's "Ultra" sale price. In comparison, HomePod is priced at $350, which is less than twice the price of a Sonos One with Alexa ($199). It's significantly more (but not 5x more) than a basic Alexa Echo ($99) or Google Home ($129), and actually $50 less than the $399 Google Home Max, a product that suggests itself to be on par with HomePod. Amazon virtually (and sometimes literally) gives away its ultra-cheap Echo Dot microphones with tiny speakers (retail price: $50) to listen for Alexa commands. A high-quality speaker like HomePod could never attempt to dip so low in price, but Apple doesn't need to do this. That's because Apple already includes Siri-based microphone functionality on its iPhones, iPads, Apple Watches, AirPods and Macs it sells, for free, as well as in HandsFree and CarPlay compatible vehicles. CIRP doesn't count Apple's Siri hardware outside of HomePod in its tally of "smart speakers," but doing so would obliterate any notion of Amazon having some important voice platform that nobody else can touch. CIRP doesn't count Apple's Siri hardware outside of HomePod in its tally of "smart speakers," but doing so would obliterate any notion of Amazon having some important voice platform that nobody else can touch. However, even just focused on HomePod, it noted that Apple's "share of the U.S. installed base of smart speakers" reached 6 percent in the quarter ending in June (which is nearly another three months ago). 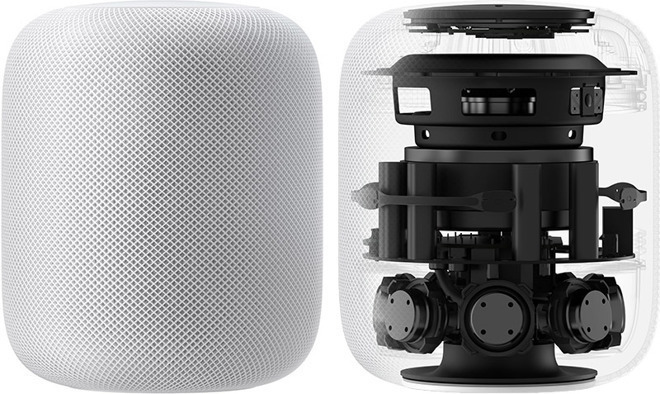 That installed base was reportedly 50 million, meaning Apple had sold over 3 million units just within the U.S. CIRP co-founder Josh Lowitz described Apple's HomePod has having a "small but meaningful share" of the smart speaker market. That's notable because in HomePod's launch quarter, it was reported to have taken a 4.1 percent of new sales, which is far below the total installed base. Further, while both Amazon and Google touted their speaker offerings during the last holiday season, Apple's HomePod was a no-show. It didn't go on sale until February. That means HomePod hasn't seen its first Christmas, the quarter where Apple has historically sold, by far, the most iPods and iPhones. And this year, Apple will be selling HomePods next to some compelling products: Apple Watch Series 4, its flashy new iPhone XS and XR models, what appears to be a new set of iPods, and potentially a new revision of AirPods. Apple is also issuing another update to enhance HomePod features. So HomePod's first holiday season will be celebrated alongside a host of popular devices attracting affluent buyers who don't sweat Apple's premium pricing. Apple's unmatchable premium bank of 750 million iPhone users won't likely be catapulting HomePod into a unit market share position ahead of the much cheaper WiFi microphones offered as loss leaders, but will clearly leave behind any premium sales of Google Home Max and similar products. Like HomePod's launch this February, Apple Watch similarly went on sale in April, 2015, with much naysaying and think tank disparagement of its rumored sales until it became a holiday hit. Prior to the holiday season, it was reported that Apple Watch sales had "plunged" and were "tanking," even as the installed base of the new product category was clearly growing. 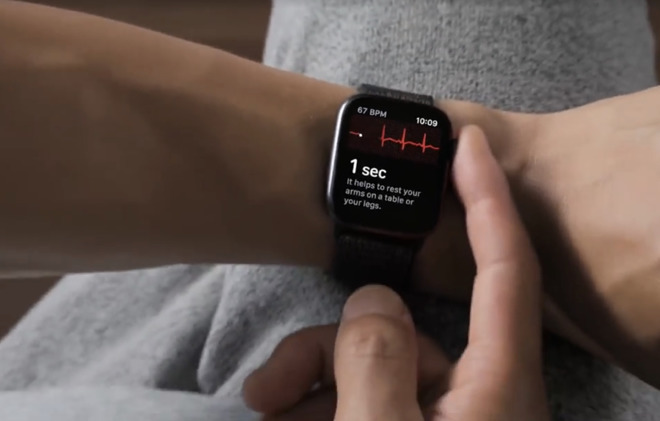 In the same way that analytics from Slice were convincingly used to disparage Apple Watch as a seling product, along with unflattering "market share" reported by IDC (which compared unit sales of the ~$350 Apple Watch against products like Xiaomi bands that cost as little as $13), CIRP appears to be overextending itself in comparing the first two quarters of HomePod sales against the last few years of Amazon's efforts to roll out a voice platform after losing all hope of launching a viable smartphone in its Fire Phone debacle. Note that Amazon's Alexa launched around the same time that Apple introduced Apple Watch. Both products have ardent fans, and an install base of around 40-50 million units, but consider the difference between what they achieved for the company that launched them. While the industry applauded Echo from the starting gate and is excited every time a new product ships with integration (a microwave you can talk to! ), the entire point of Alexa was to push Amazon sales--salvaging some of the work done on Fire Phone to keep users shopping online. It has clearly failed at that objective--The Information detailed in August that only 2 percent of Alexa users ever tried to make a purchase from Amazon this year, and 90 percent of those who never tried again. Alexa hardware is also not a profit center for Amazon. Apple Watch was undertaken to revitalize Apple's lagging iPod segment of Other Hardware and pioneer new wearable technologies. It has performed extremely well, making Apple not just the leading watch maker globally, but an extremely profitable one at that, not just selling watches but in pulling in customers to buy iPhones, AirPods, and bands to use with them. Will HomePod be getting cheaper? While there's some potential for Apple to introduce a less expensive HomePod, it's at least equally likely that Apple will introduce an even larger, more expensive model aimed at businesses or entertainment venues. Some Apple products have gotten cheaper across the last ten years—particularly Apple TV (in the 2010 shift from a being a stripped down Mac with a spinning hard drive to being a solid state iOS-based product). However, Apple TV subsequently started climbing upward in sophistication at a premium price. iPhones also got fancier with the Plus and now Max versions, iPad went Pro, and Apple now sells a very premium iMac Pro--and very nice MacBook Pros, while conspicuously missing any new low-end notebook. Apple isn't focused on selling cheap PCs, cheap tablets, cheap phones or cheap watches with a price comparable to its rivals. That makes it seem odd why CIRP thinks a cheap HomePod would—or could—ever rival the $30 Echo starting point from notorious price-slasher Amazon. The reason why Amazon (and Google) are offering such cheap WiFi microphones is because they want to establish a platform for voice-based search, automation and user data harvesting. Siri isn't desperate for volumes of clients giving it opportunities to provide feedback or turn on lights. Apple has by far the largest installed base of voice clients anywhere. And while Siri often still can't match the response accuracy of Alexa or Google Assistant, that's not an issue for most users, who primarily only use voice assistants on any platform to do rudimentary tasks like playing songs, checking the forecast, or turning on light switches. Rather than a low-priced hardware offensive, Apple's most impactful strategy related to voice assistance is likely to be Siri Shortcuts, a technology used to automate common tasks and assign them a voice trigger. These can be built by the user or suggested by app developers (or iOS itself) radically shifting Siri from being just a bad search engine and a serviceable way to control music playback, control HomeKit devices and check weather and stocks into a very useful verbal interface for performing custom, user-definable tasks. From that perspective, there's no need for discounted "Siri speaker" hardware at all.